You will want to work with a moving house company in Rochdale with a lengthy reputation for expertise and high quality customer service, regardless of whether your needs are commercial or domestic.With more than 15 years in the industry, you can rest assured that you will get dependable and reliable service from Littleborough Removals, that puts your needs above all else. This family-owned business employs staff who are hardworking, friendly and honest, so you never have to worry about anything happening that you did not approve. The upfront and honest style of the business ensures maximum customer satisfaction every step of the way. In Rochdale, a moving house company, such as Littleborough Removals, provides top-notch customer service and removals that adhere to the highest standards. You will enjoy a wide range of services that can help you with everything from getting the boxes you need, to getting those boxes packed and over to your new destination without hassles or unforeseen challenges. Work with a company that has an excellent reputation of getting the work done quickly while also ensuring the highest level of quality. This means that everything gets done on your schedule. You are working with a trusted company that does everything with you in mind so that the job is completed according to your needs and specifications. When you need a high quality moving house company in Rochdale, it is imperative that you work with someone who makes your move as smooth and simple as possible and Littleborough Removals makes this guarantee to all of their customers. 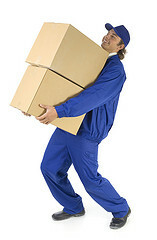 You will appreciate an efficient service that treats your belongings with care and respect. Whether you have a small house or a large property, the job is done according to the timeframe that you agree to. You do not have to worry about constant delays or anything getting in the way of you and your family getting this project done so that you can focus on the fun and exciting parts of the moving and relocating process. For a high quality and reliable moving house company, contact Littleborough Removals. This entry was posted in Moving Companies and tagged Moving House Company in Rochdale, Rochdale Moving House Company. Bookmark the permalink.